We’re BAAACK! My bestie Janine and I are at it again! Arm knitting for our second project together! Why do the same project again you might be wondering? This is a sponsored post. But all the words and opinions are authentically our own. Real Wool Makes ALL the Difference! 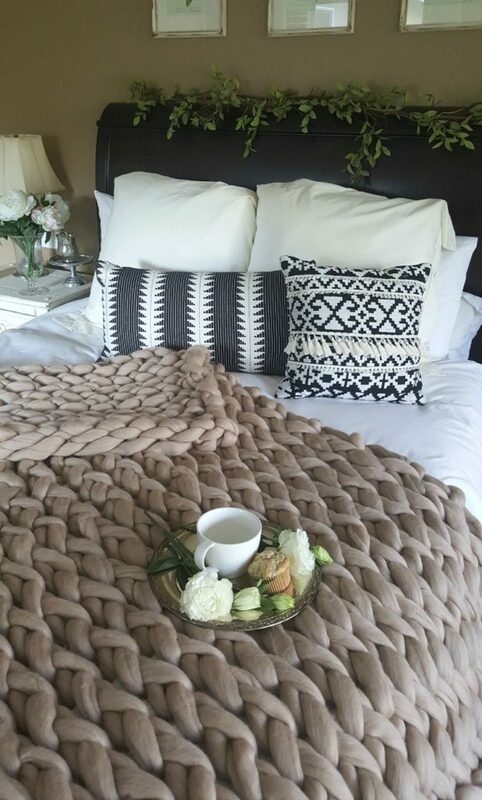 First of all, while Janine and I really liked the way our first chunky knit blankets turned out we still saw a huge difference between the synthetic wool and the blankets made out of real wool. 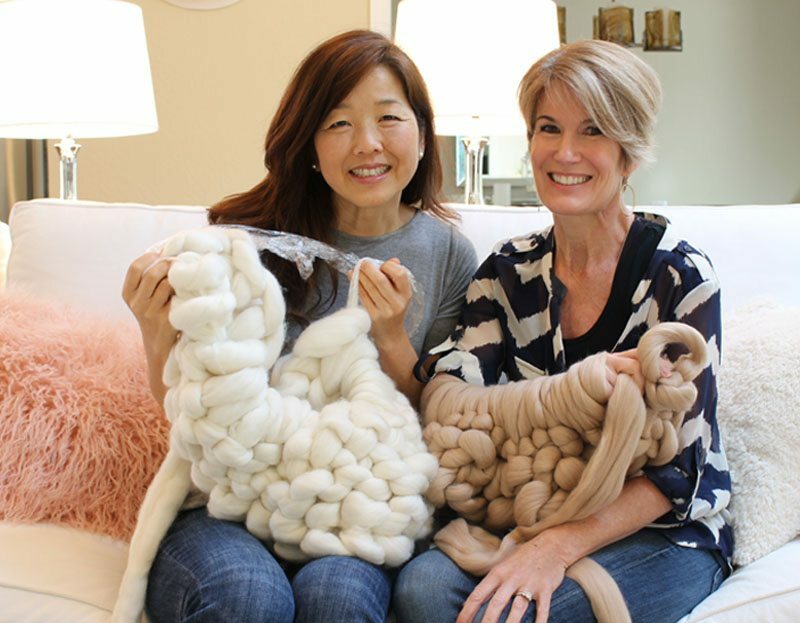 We used acrylic (synthetic) wool the first time because, well, we were experimenting! To be honest, we really had no idea what we were doing, nor if it would turn out. So, we hesitated at the idea of spending the money for real wool. Now, with more confidence and the technique down we were ready to try it again. This time we are using real Merino wool! If you missed our post about our first arm knitting experience CLICK HERE to read all about it. We learned a lot! In Search of a Better Way…. We soon came across Larissa from BeCozi.net and started reading her arm knitting tips. Larissa also shares her unique HAND knitting technique which is a great option for people who don’t like the idea of knitting on their arms. We learned that BeCozi sold very high quality 100% Australian Merino wool at competitive prices. BeCozi.net is a great source for all your chunky knit throw supplies and needs. I want to spend a few minutes discussing the pros and cons of using the synthetic wool vs. the merino wool. Synthetic wool isn’t nearly as soft as Merino Wool. Even during the knitting process itself the synthetic wool felt harsh and somewhat abrasive against my skin. My arms were red and irritated after knitting. The wool is the softest thing you have ever felt. Even when I had it pushed tightly up my arms it never felt harsh. The entire experience was noticeably more comfortable because of the softness of the Merino wool. You can imagine how wrapping yourself in this luxury would feel! Because the synthetic wool we used was smaller and thinner than the merino wool the look of the knit is very different. The real wool version is much fluffier so it tends to create a much more uniform stitch. The synthetic wool we used was somewhat flat rather than round so it showed twists and angles depending on how if you were twisting the yarn. Twisting the yarn is nearly impossible to control so this contributes to a lack of consistency in the final look of the blanket. In addition, because the real wool is fluffier it is easier to create the impression that all the stitches are even because the fluff takes up any of the extra space created by a slightly bigger stitch. If I’ve lost you with this explanation don’t worry about it! My main point here is that it is much easier to make a perfect, uniform and professional looking blanket (even your first time) using Merino wool than with the synthetic wool. You can check back on my first post for a visual comparison, CLICK HERE. Both types of wool are somewhat delicate and need to be treated with care. The synthetic wool can be hand washed while the Merino wool should only be spot treated or dry cleaned. In either case you should wash with care in order to protect the shape and longevity of the wool. BeCozi sells the most beautiful 100% Australian Merino chunky wool! They provide all the information that you might need to try to decide how much wool you will need for the size of your project and how much it will cost. We decided to make full size blankets and bought 8 lbs of yarn. BeCozi sells their chunky knit wool yarn for $32/lb. So our blankets cost $256 for the wool. 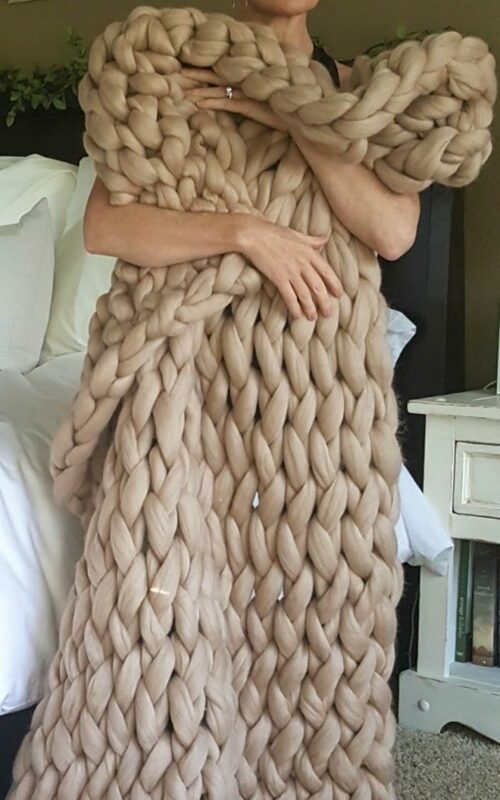 The estimated size blanket is 40″ x 60 ” but it depends on the size of your knitting. My blanket ended up being closer to 5′ x 6′ because my stitches were somewhat tight (I have small arms!). You can expect yours blanket to be anywhere between these two sizes. They offer the wool in 22 different colors….more than enough to give you a very hard time deciding which one to choose! We are guessing you’re already in love with the beauty of these blankets (or you probably wouldn’t be here!) Janine, Julie and I know you will agree that BeCozi’s Merino wool is the better choice. If the cost is stopping you why not start off small? Here are some ideas and the amount/cost of the yarn necessary to complete each project. All Super Chunky Merino Wool is sold by the pound at BeCozi so keep this in mind when planning your project(s). BeCozi also sells many Chunky Knit Wool products pre-made, as well as patterns and other home decor and fashion items. 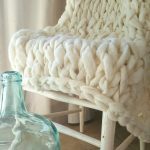 If you love the look and feel of chunky knit Merino wool you should check out all the unique products that BeCozi makes including poufs, pillows, pet beds, rugs, knitwear and more! 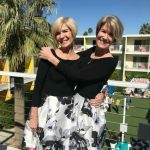 Tips from Jodie and Janine: What NOT to do! Note: We learned these tips the hard way, but you don’t have to! Don’t leave your skeins rolled up and start arm knitting with just one skein opened up. Learn from our mistakes! Janine and I were so eager to get started that we did this and soon found ourselves in knots. The reason is that each stitch creates a twist so you end up twisting the yarn as you go. Be sure to unwind all of the skeins and either pile it on the floor in front of you or roll it into a ball like Janine did. I placed a plastic mat on the floor to protect the yarn from any dog hair (two black labs roaming about) and worked that way. Don’t get distracted and knit to the very end. You need to leave enough yarn (enough for about a row and a ½) to bind off. I was doing a “Live” Instagram video and was having fun chatting away, knitting, and answering questions when I looked down and realized I only had a bit of yarn left. After attempting to bind off and getting about ½ way through I realized I didn’t have enough yarn. The lesson here is plan ahead and pay attention to the amount of yarn you have left. This tip goes along with the above lesson but is a bit more general. Basically, especially as a novice you want to pay attention to what you are doing. If you relax into the rhythm too much you may lose track of what you are doing. It’s good to leave the TV off and focus your attention as much as you can. This tip is my favorite tip that I learned and applied during this project. It was what to do when you want to take a break from your knitting. Use Saran wrap. Pull out a piece of Saran wrap long enough to string through all of the loops of your row as you take the stitches carefully off your arm. I actually traveled from Janine’s house to mine with my project held by the Saran wrap. For transport I just tied the ends of the Saran wrap together and was able to carry it safely like that. It’s brilliant! We would LOVE to hear any tips YOU learn when you try arm knitting. Just comment here and I will potentially add them to my post for others to benefit from! After reading this post we hope you feel confident, armed (get it?) and equipped to make your own arm knit blanket or throw. You may want to start as we did by trying out your first arm knitting project using synthetic wool. You may want to choose a smaller project. 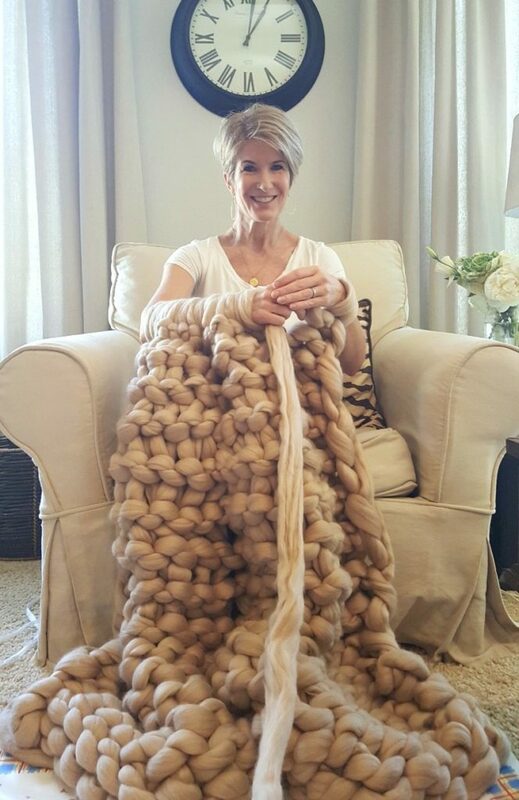 But, if you are like us and you are lusting after a thick, luscious, luxurious chunky knit blanket we encourage you to invest the time and money in knitting a gorgeous real Merino wool blanket. (And take advantage of our coupon code from BeCozi, 10OFF) There is nothing quite like it we are sure you will agree! 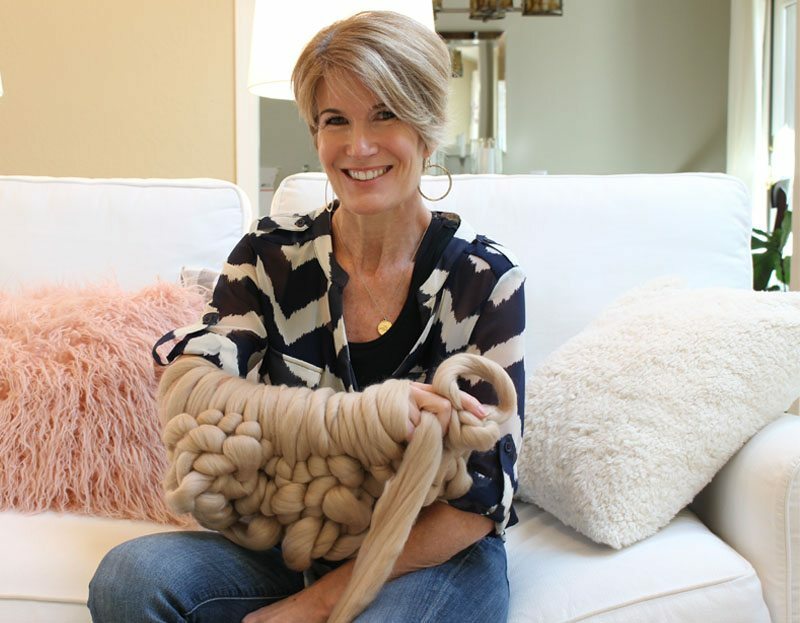 Arm knitting your own luxurious chunky knit wool blanket is easy and fun when you are "armed" with this tips, tricks, and resources. Your post is amazing and I also love how your blanket turned out! Bravo to such a great project! And we both have a fabulous heirloom piece! Thanks so much for organizing this and including me in the wool blanket project. You’re so thoughtful and generous! I’m such a lucky girl to have you two as friends! Aww, Janine, Well, it seems the feeling is entirely mutual. We are lucky to have each other…for inspiration, for support and for that little extra encouragement that we ALL need. This project was so much fun to do together….from the first post to this second try. I’m so glad we stuck with it to get this final piece. Like you said, it will be an heirloom piece, it is THAT special! Thanks for your sweet words. It means the world to me! Loi Thai, You are so kind! That means so much to me! Janine speaks so highly of you! You are welcome to “hang” with us any time! We can give you an easy arm-knitting lesson then! Thanks so much for your comments. Julie and I appreciate it so much. I LOVE your writing style! Awesome content aside, your talent sets you apart! It’s so refreshing in this blog-dense world! I just love these blankets! What fun! I would love to tackle one someday soon. Beautiful post and pics. Thank you! Could not find directions for beautiful arm blanket shown on site. Could you please email. If you search “Arm Knitting” in our SEARCH OUR WEBSITE bar it will pull up our two blog posts on this topic. 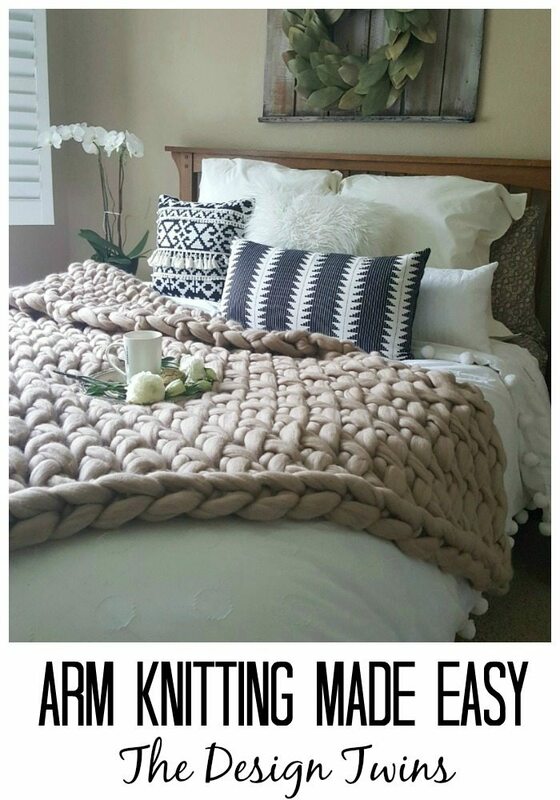 “Arm Knitting Made Easy” and “Chunky Knit Throw: Arm Knitting is a great affordable Option”. These two links will take you to each of these posts. This blanket looks fun. I will try making one. Thank you for the idea. Because of your post on IG, I came to your blog and now I have the guts to try this blanket. I am doing it in the Couture Jazz milk color to starters. I practiced a bit last night and I it came out amazing – so I am ready to go to make a blanket this weekend. I am gifting it to my daughter for her birthday. I can’t wait to bring it to her. Would love to try to make one! Looks like a lot of fun! March Madness is awesome – hope I win!!! Oh Holly, I really hope you do! I plan to make more….but with spring coming I’m moving on to other projects for now. But I’m certain next winter I will be wanting to do more in other colors. It’s super easy! Even for someone like me with no experience. My moto is that, if I can do it anyone can! Good luck! And thanks so much for your visit! Oh Tammy! Really? You made it!! That’s so awesome! That makes me so happy! Let’s keep inspiring each other! Good luck! This blanket really is cool! I would go with the merino wool. March Madness is a great time to tell you ladies that I love reading your blog and seeing you two on Instagram. Thank you ???? Is there anything you don’t know how to do and do beautifully? 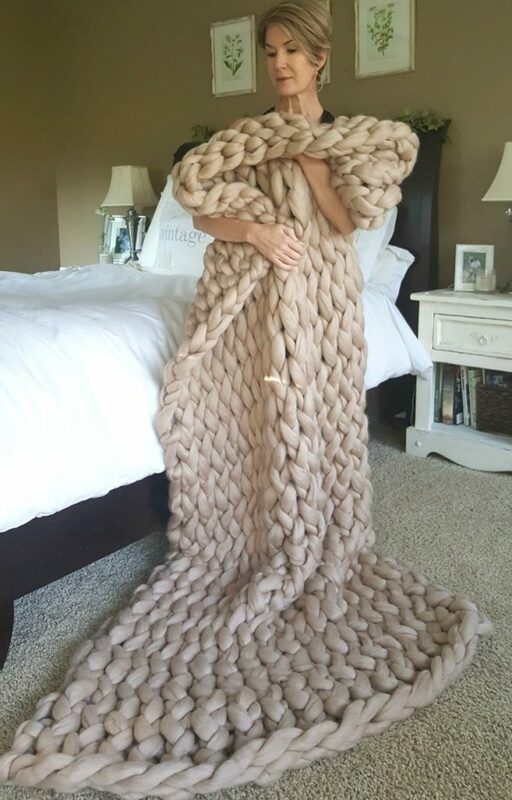 I have been in the blanket envy since I saw one of these on a blog. I know nothing about knitting. Can I do this? You give me hope! I wanted to make one for each of my four sisters. Christmas is coming! I better get started. Love, love, love your blog! March Madness. I got an arm knit as a gift I love it! Not related to the arm knitting, but I love that navy & white (maybe black & white?) pillow with the tassels on the couch ???? 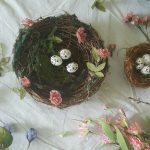 I still want to make one of these even though it will be spring soon. I arm knitted a scarf last month, so I am ready to try this! Who has ever heard of arm knitting? Not me! Your throw is really beautiful. I love your tutorials. Thanks! March Madness! Reason 4: a super cute blanket with all the feels! Love this. I have knit for years and years. 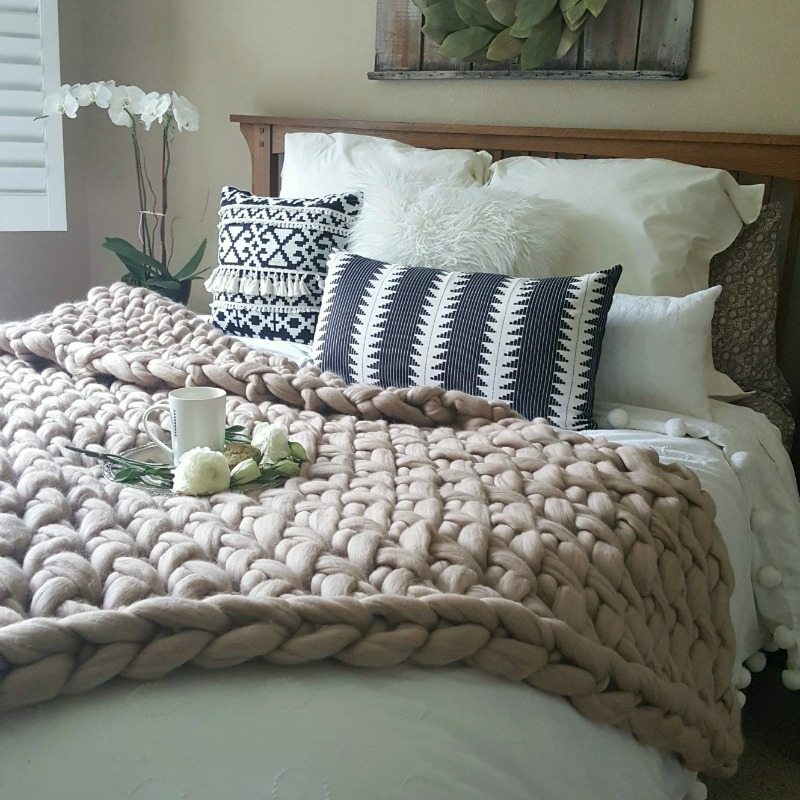 I just love the look of this chunky knit throw! March madness. I am in love with this blanket. I am not sure I am ready to take the plunge into making my own, but this just might be a summer project. Thanks for all the great tips! March Madness! ???????? Happy St Patty’s Day! What a gorgeous blanket. 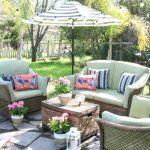 I have been swooning over these blankets for a LONG time! Thank you for sharing in your informative tips. I will have to take a peak at Artizen Home! I love, love this throw! I’ve only ever attempted arm knitting a scarf and I can’t say it turned out as beautiful as your throw! ???????? I have never heard of arm knitting before, it’s so cool ???? 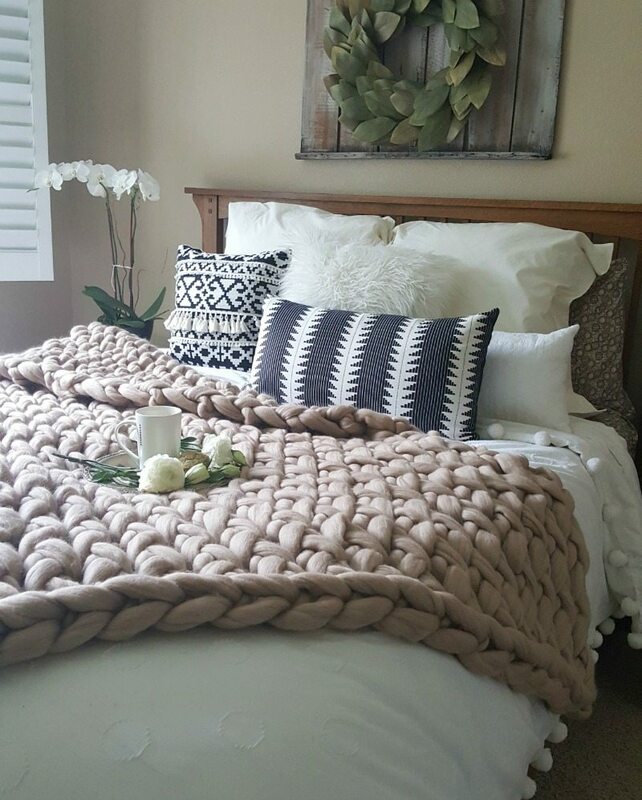 One of my closest friends and I have been trying to find time to arm knit our own throws! I’ll definitely be following your tips for this project! Thanks for reposting with “easier” tips! <3 I also LOOOOOOVE those patterned pillows on the bed with your gorgeous throw! I plan on giving arm knitting a try. I think I am going to start out with a scarf just to get the hang of it. Then, when winter rolls around again, I will have a warm scarf to wear ???? I am interested to knitting and needed a hobby at my leisure time. Then I found your blog and was so excited. I like the arm-knit blankets. It looks fun. I will try to make this one with merino wool. Thanks for your informative blog and love your idea. Besides knitting, I also love to collect woolen blanket. Woolen blanket that I like most from texelana.nl. It wonderful and soothing. It can bring my self relax when I lie down on the soft. Thanks again and wish you all the best !! How beautiful that turned out! Well done! My only challenge is that I’m allergic to wool so I wonder if that type would itch. Hmmmm…. It turned out even more beautiful the second time. I agree- there’s nothing quite like real wool. Thank you for including the video link. This is something I’ve wanted to try. Now I think I just might be brave enough!! Superb! what a great blog. I really like it very much. Thanks for sharing your home decoration ideas with us. I am also looking for these kinds of ideas from very long time and suddenly I found your blog.Please keep sharing these kinds of blog with us. 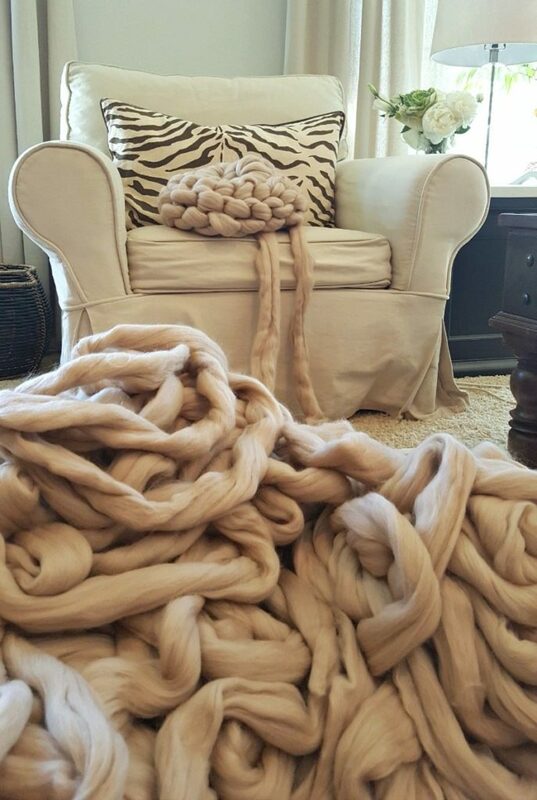 I have multiple balls of yarn, and need to know best way to connect them together but cannot find any info on how to do this, any ideas? Did you girls know how to knit already? I don’t knit and so I’m wondering if I would be able to do this beautiful project! I love it so much! Thank you for this helpful post and review!! Thank you for the kind words! Jodie is the master arm knitter over here, which is slightly different than regular knitting, but similar! 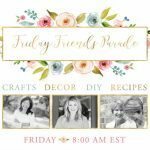 Good luck if you decide to try this fun project! 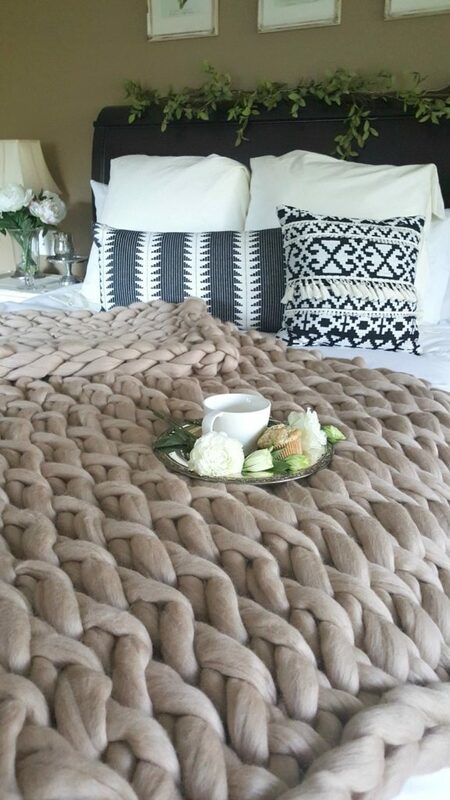 I have always wanted to make one of these blankets but don’t know where to get the material from. Can you help me out? Did you see our links to where we purchased our Merino Chunky wool? You can get it online from http://www.becozi.net – You can click on any of the links and it will take you right to her website. 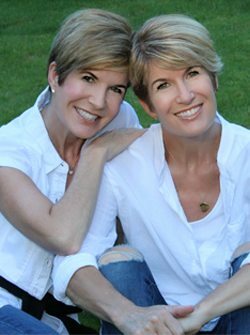 We also have a coupon code you may have noticed (TWINS10) which will give you 10% off. I hope that helps! Good luck with your project! Beautiful blanket. Im just wondering whether you have felted the wool? It looks as though you are knitting with unfelted merino which is so delicate but looks more silky. Do you treat it afterwards instead?